Ten new recipients were recognized in 2012. Whether on the stage or screen, in the office or community, Carol Greyeyes has left indelible impressions throughout Canada's arts and Indigenous communities. A member of the Muskeg Lake Cree Nation, Greyeyes obtained her BFA at the U of S in 1982, becoming one of the first Aboriginal fine arts graduates in Saskatchewan. She later graduated from the Indian Teachers Education Program (ITEP), received a BEd at U of S ('89), and MFA from York University ('92). During and immediately following her studies, Greyeyes became increasingly involved in establishing and delivering Aboriginal theatre training programs and workshops throughout Canada. For the past three decades, she has been highly sought after as a writer, director, actor, teacher and board member for numerous organizations. Bringing boundless energy, conviction and professionalism to everything she does, Greyeyes has become recognized as a generational leader, tirelessly supporting her fellow artists and working to expand the role and recognition of Indigenous arts on a national scale. After serving as the Saskatchewan Arts Board's Indigenous Arts consultant for eight years, Greyeyes moved to Nova Scotia where she helped establish a leadership program for Aboriginal women at St. Francis Xavier University's Coady Institute. 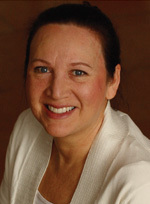 Her distinguished career has led to numerous honours and awards, and national reputation led to her being appointed producer and project leader for ArtsLink, an online research project for the federal government's Truth and Reconciliation Commission. A leader in the field of neuronal stem cells, Freda Miller's pioneering work could one day pave the way to significant advances in the treatment of everything from spinal cord injuries to Parkinson's disease. She currently works as a cell and molecular developmental neurobiologist at the Hospital for Sick Children Research Institute, as well as a professor at the University of Toronto where she holds a Canada Research Chair in Developmental Neurobiology. She obtained her BSc (biochemistry) from the U of S in 1979 before receiving a PhD from the University of Calgary and completing her postdoctoral training at the Scripps Research Foundation. 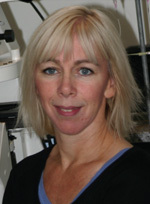 Miller's first faculty position was at the University of Alberta, and she later moved to the McGill University before accepting her current position in 2002. Her innovative and globally-renowned work has been recognized through numerous awards and honours, including being named a fellow of the Royal Society of Canada, fellow of the American Association for the Advancement of Science and Howard Hughes Medical Institute International Scholar. Miller is also a founder of Aegera Therapeutics Inc. and Reveille Inc., two Canadian biotechnology companies. The namesake behind one of today's most well-known Lie algebras, Robert Moody has established himself as one of Canada's most accomplished and renowned mathematicians. 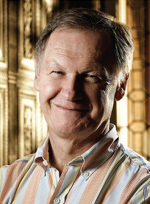 Born in England and having spent his high school years in Ottawa, Moody received his BA ('62) at the U of S before obtaining his MA and PhD at the University of Toronto. His dissertation formed the basis of Kac-Moody algebras, which he discovered alongside Russian mathematician Victor Kac. He took his first academic position at the U of S in 1966 and joined the University of Alberta in 1989. By the 1980s, Kac-Moody algebras and their offspring, Virasoro algebras, had become fundamental to mathematics and mathematical physics worldwide. His work in this regard earned both Moody and Kac the 1994 Wigner Medal, administered by the Group Theory and Fundamental Physics Foundation. Amongst his many other honours and awards, Moody has been named a fellow of the Royal Society of Canada and officer of the Order of Canada. The Kac-Moody algebras, considered one of the seminal events in the history of modern mathematics, have been described as "a classic example of the fruitful interplay between mathematics and physics that has been at the heart of major scientific advances since the time of Newton." One of the world's major art dealers in Picasso's printmaking, Frederick Mulder's business acumen has allowed him, in turn, to become a noted philanthropist. After graduating from the U of S (BA'64), Mulder went on to attend Brown University (MA, PhD) and Oxford University, where he wrote his dissertation. Leaving Oxford in 1971, he set up a business dealing in original prints. From 1972-75 he worked with art dealers P and D Colnaghi, and since 1975 has been the director of Frederick Mulder Limited, which specializes in European printmaking 1460-1960. In particular, his holdings of Picasso linocuts are one of the most extensive worldwide. He became accustomed to tithing his income as a child in Saskatchewan and this has continued through his career. Moreover, he has has spent decades persuading others to do the same. He helped establish two organizations that focus on leveraging charitable efforts: The Network For Social Change (the first giving circle of its kind in the UK) and The Funding Network, which has been highly successful in both the UK and Canada. Both bring like-minded individuals together and pool donations, which tremendously increases the overall impact of one's charitable efforts. Mulder has also utilized several innovative approaches in his business dealings that ultimately benefit numerous charities. For his work in this regard, Mulder received the Beacon Fellowship Judges' Special Prize in 2004, and was made a Commander of the Order of the British Empire (CBE) by the Queen in the New Year Honours 2012. A renowned national historian, Blair Neatby was one of the first scholars to see English-French relations as central to our understanding of Canada. After graduating from the U of S (BA'50), he undertook PhD studies at Oxford and completed his doctoral work at the University of Toronto. His doctoral thesis, Laurier and a Liberal Quebec-although it went unpublished until 1973-became somewhat of an underground sensation. His most lauded work, however, was likely the MacKenzie King biography, published in two volumes (1963 and 1976). Neatby's tireless work on this project allowed him to acquire an encyclopedic knowledge of Canadian political history during the 1920s and 30s, and the resulting publications formed a foundation for our understanding of Canada's political history in the interwar period. His main professional commitment was as a professor of history at Carleton University, and he currently holds the rank of professor emeritus. He did, however, put his scholarly work aside in the 1960s to serve as research director for the Royal Commission on Bilingualism and Biculturalism. This commission has been described as one of the most important in Canada's history, as it insisted on the importance of second-language acquisition for both English and French Canadians. For his tremendous body of work and history of public service, Neatby was named a fellow of the Royal Society of Canada in 1977 and, in 1987, was appointed president of the Canadian Historical Association. An economic historian and expert on Western Canadian economics at the turn of the century 19th century, Kenneth Norrie's extensive scholarly and administrative achievements have established him as a leader in his field. Born in Saskatoon, Norrie received his undergraduate degree from the U of S (BA'66) and both his MPhil and PhD from Yale University. Much of his academic career was spent at the University of Alberta (U of A), which he joined in 1971. 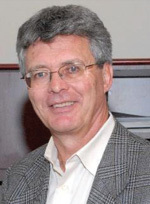 He held a number of senior administrative roles at the U of A, including dean of arts from 1999 to 2001. 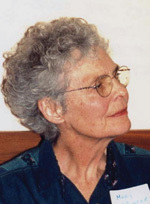 Seconded to the MacDonald Commission in the mid-1980s, Norrie served as a key researcher for this landmark group, which recommended signing the Canadian-American Free Trade Agreement. In 2002 he joined McMaster University as a professor, as well as provost and vice-president (academic). He held the latter role until 2006, and was chosen to serve as vice-president (research) for the Higher Education Quality Council of Ontario from 2007 to 2012. Norrie's research has been widely published in-and he has served on editorial boards for-many academic journals. 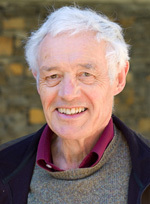 He has also authored or co-authored five monographs, and was appointed the Clifford Clark Visiting Economist for the Government of Canada in 1990-91. 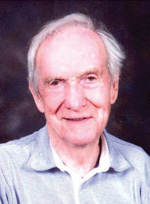 An internationally-esteemed church historian, Cyril Richardson's academic and theological work was revered by peers around the world. Born in England, Richardson moved to Canada as a child and graduated from the U of S (AB'30) as well as Emmanuel College (LTh'31). He then moved to New York and attended the Union Theological Seminary, earning his doctor of theology degree in 1934. He joined the seminary's faculty in 1934 and remained there for nearly 42 years as both a teacher and administrator. Highly admired for his work in the classroom, Richardson quickly became respected for his clarity, wit and genuine regard for his students. For two decades, Richardson served as the seminary's Dean of Graduate Studies, a position he held until his retirement in 1974. Richardson was also highly active in this church, and was named an honorary Canon of the Cathedral Church of St. John the Divine in 1974. A widely-published author and editor, he was also a longstanding member of various national organizations, including the American Society of Church History and the National Council Commission on Worship. Richardson received an honorary doctorate from Emmanuel College ('49) and the General Theological Seminary, New York ('72). An icon in the Canadian mining industry, Roman Shklanka's willingness to take geological risks at home and abroad helped enhance this country's global reputation for mining excellence. Shklanka entered the U of S at only 15 years old and earned his BA in 1951, followed by a BComm degree in 1953. A summer job with the Saskatchewan Department of Mineral Resources, however, inspired him to change directions. By 1956, he had earned his MA in Geology and he completed his doctorate at Stanford University in 1963. Over the next four decades, Shklanka held senior roles for several mining companies, and was instrumental in searching for and securing new mining projects around the world. Such work required Shklanka to exercise not only his economic and geological prowess, by political savvy as well. Associated with some 13 mine developments on five continents, he is sometimes referred to as The Mine Finder; others refer to him as the Father of Tanzanian Mining for his early contributions to the industry in that developing country. 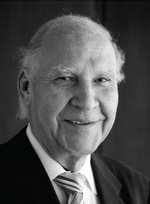 He is the recipient of a number of achievement awards and in 2009 was inducted into the Canadian Mining Hall on Fame. During Mary Spencer's professional career as a chemist, teacher and researcher, she strove for excellence in her work, and received many awards. Among women scientists, she became a symbol to emulate. Growing up in Saskatchewan, Spencer graduated from Regina College and the University of Saskatchewan (BA'45) before completing her MSc at Bryn Mawr College in Pennsylvania. In 1946, Spencer was married in Montreal, then completed her Ph.D. at University of California, Berkeley, where she joined the academic staff. 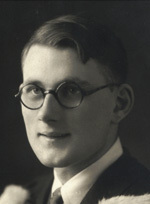 Spencer returned to Canada in 1953 and was appointed to the staff at the University of Alberta to teach in biochemistry, first in the medical faculty, then in agriculture. Her research centred on the influence of ethylene on biochemical processes. Much of her work is still being quoted today, including ethylene's effect on the ageing process of all life forms. With high standards, dedicated teaching and inspirational leadership, she built an international reputation. She has received many awards and honours, including being named a member of Order of Canada and fellow of the Royal Society of Canada. A founding member of the Canadian Society of Plant Physiologists, and 1990 gold medalist, she is also a fellow of the Canadian Institute of Chemistry. 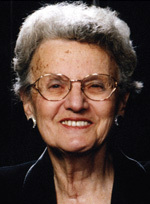 Spencer was the first elected staff member of the U of A Board of Governors, and became one of the first two women members of the National Research Council (NSERC), to which she was appointed in 1970. She was also awarded two Queen's Jubilee Medals: silver in 1977 and gold in 2002. Never one to shy away from controversy, Tillie Taylor's fearless quest to ensure equality and justice for others helped change the dynamics of human rights throughout Canada. Raised during the Great Depression and under an increasing threat of war, she became deeply involved with the Canadian arm of the international Youth Congress Movement. It was there she met her future husband, George Taylor. The couple moved to Calgary and Tillie worked as a secretary when he returned to school and obtained his law degree in the 1940s. Despite having two daughters, Tillie returned to school as well and obtained her own law degree in 1956. There were few female lawyers in Canada at that time, and Tillie's first job was as deputy registrar in the Saskatoon Land Titles Office. In 1960, she was named a provincial magistrate, the first woman in Saskatchewan to be handed this post. Although this position meant she could no longer be active in provincial politics-she and George were formerly active in both the CCF and NDP-she found many other ways to make a difference and worked with several organizations involved in prison and law reform, as well as issues related to poverty. In 1972 she was named the Saskatchewan Human Rights Commission's first chairperson, and played a key role in developing its mandate. In 1976 she was elected a director of the Canadian Research Institute for the Advancement of Women, and, for nearly a decade prior to her retirement in 1987, sat on the board of governors for the Canadian Council on Social Development.